Manoj Kumar faced tough competition from Uzbekistan boxer Fazliddin Gaibnazarov in round of 16 and lost 0-3 in the pre-quarters. 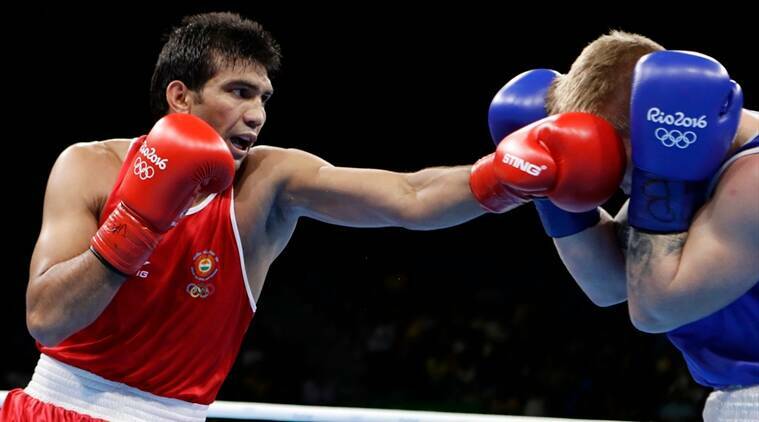 Live India boxing, Manoj Kumar, Rio 2016 Olympics: Manoj Kumar won his first bout against London Olympic bronze medalist . India’s hopes of a medal continued to get slimmer with Manoj Kumar losing in the pre-quarters of the 64kg light welterweight category to Uzbekistan’s Fazliddin Gaibnazarov by points. He lost 0-3 in a contest that was evenly contested and the Uzbek won narrowly with all three judges scoring it 10-9 in each of the three rounds. 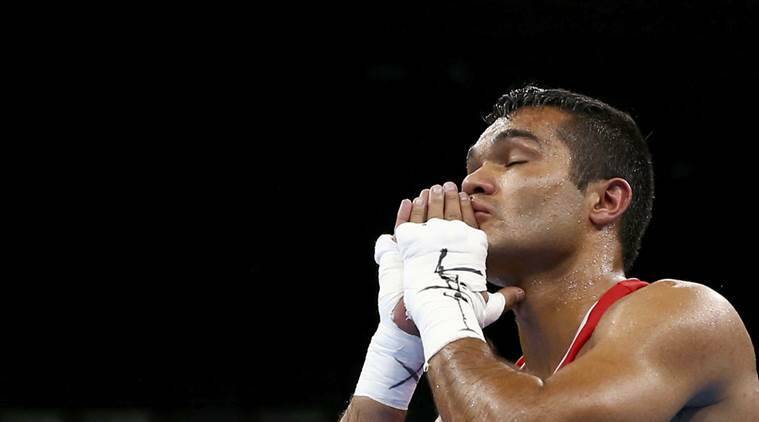 With that, India’s boxing hopes are down to just Vikas Krishan. 2208 hrs IST: There is slight delay in the match. The Uzbek has more success at 64kg. He is a silver medalist at the 2015 wc. A silver at the 2015 asian cships too. Mukka khana hai, aur mukka maarna hai. Get hit, and hit a few of your own. “Hum Haryana se hai,” Manoj Kumar says for good measure, a self-explanatory pithy philosophy with its all-encompassing punches and punchlines that reach a crescendo every Olympics. Manoj Kumar’s reductive analysis of an Olympic boxing bout doesn’t need deep, dissecting, thread-baring. He’s just crowded Evaldas Petrauskas of Lithuania with his fast-flapping punches, and advanced to the quarters. The face is bruised because he’s taken more than a fair share. “Simple hai. Maarna hai,” he says. Like they tell the Hulk: Smash. It doesn’t matter if it’s red or blue in the corner, it’s all green rage in Haryana boxers when they get cracking in the ring here. Like Akhil showed, it needn’t always work. Like Vijender countered – with a few tweaks, it might. There’s nuance to this whole business of no-holds-barred boxing though. Akhil Kumar with his guard down can go down in history as cavalier – or courageous. Vijender, on the other hand, played it smarter and exploited the simplest of science of a straight punch. Manoj Kumar is livid his team-mate Shiva Thapa didn’t give himself much of a chance – he didn’t throw enough punches as he ought to have. “I am not as talented as him, or skilled like Vikas. But why complicate? You should be prepared to get beaten up and then hit back yourself. That’s all boxing is,” he says. “In Haryana, it is,” he repeats. 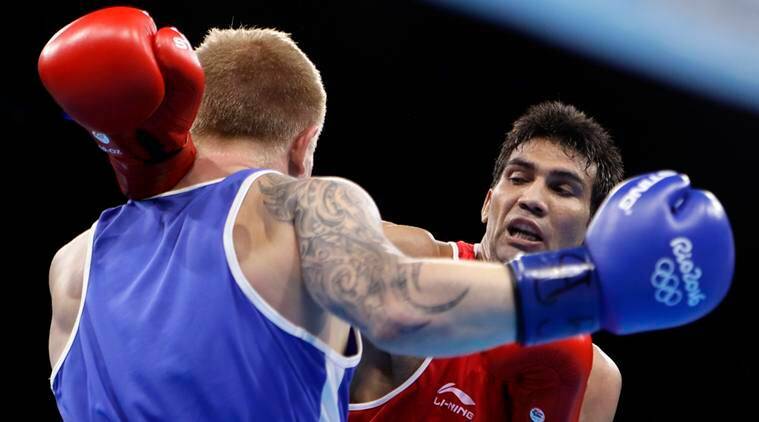 India ended day five of Rio 2016 Olympics on a good note as boxer Manoj Kumar won his first round bout against 2012 London Olympics bronze medallist (60kg) Evaldas Petrauskas in the men’s light welter weight 64kg category on Wednesday. In what was fiercely contested bout, Manoj won 2-1 despite an aggressive play from Petrauskas in all three rounds. With the win, Manoj became the second Indian to advance to the next round of Rio Olympics after Vikas Krishan had made it to the next round in the middle weight category. A Haryana power department employee has been suspended after boxer Manoj Kumar’s brother alleged that some persons have shifted a transformer from in front of their house in Kaithal district, so that their parents “do not get to watch his bout” in Rio Olympics. Major Kumar, an Asian Games bronze-medallist and Commonwealth Games gold-medallist, is gearing up for his pre-quarterfinal bout at Rio Olympics on Sunday. “I got the transformer installed by requesting the previous Chief Minister. But some rowdy elements of the village took away the transformer so that my parents feel harassed and they do not get to watch Manoj’s match,” alleged Rajesh Kumar in his letter to Haryana Sports Minister Anil Vij yesterday.